The Screen Actors Guild Awards tonight were an interesting turn of events. One reason being the various politically charged speeches and another reason being how we saw expected winners mixed with jaw dropping surprises. 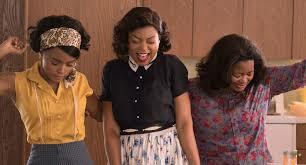 First off, the big prize of the night, Best Ensemble In A Motion Picture, went to Hidden Figures. It was surprising yet not surprising given how the film is peaking at the right moment, reaching the century mark domestically, and how populist the cast is. Because it is nominated for Best Picture, does that mean it can derail current frontrunner La La Land? Eh, probably not. It only has three Oscar nominations (Picture, Adapted Screenplay, Supporting Actress) and typically a Best Picture winner needs across the board support. If there's any film that can derail La La Land, (though highly unlikely at this point) it's Moonlight which won the Golden Globe for Motion Picture-Drama and has the right above the line support needed to become a Best Picture winner (Picture, Directing, Acting, Adapted Screenplay, Editing, and a few techs). But Hidden Figures winning here shows that the movie has its fans. As for the other winners, Denzel Washington managed to bulldoze past frontrunner Casey Affleck by winning Best Male Actor In A Leading Role which is critical. You'd have to go all the way back to 2003 to find a Best Actor winner that didn't win at SAG when Johnny Depp won SAG for Pirates Of The Caribbean while Sean Penn won the Oscar for Mystic River. So Casey Affleck may likely win the BAFTA because Denzel Washington isn't nominated there. But it is far from over. Also, Mahershala Ali and Viola Davis asserted their frontrunner status by winning Supporting Actor and Actress, respectively, while Emma Stone claimed her status as the frontrunner for Best Actress by winning for La La Land over Natalie Portman who really needed this win to stay alive. But it looks like Emma Stone will get carried along with La La Land in the style of Jean Dujardin when he won for The Artist.